Mr. Kuhn, friends of Gettysburg and most importantly fellow veterans. What a great thrill it is to return to Gettysburg. I've come to this place hundreds of times. I've walked this ground when it was covered with snow, in the heat of summer, in a pouring rain storm while leading a staff ride with the leadership of the Chinese Army a few years ago. Coming here never gets old. It never becomes tiresome. It never fails to excite a passion or raise my spirit. To those who have never seen war surely emotions like these seem strange indeed. Some of our citizens who hear old soldiers like me talk about a love for a battlefield conclude that we love war. Nothing could be farther from the truth. Part of my love for this place is personal. A distant relative, Colonel Alfred M. Scales, was seriously wounded leading Scales North Carolina Brigade up Seminary Ridge on the first day of the battle. Another reason I venerate this place is because it is a soldier's laboratory and a place to learn the art of war. We soldiers practice our profession only infrequently so we rely on past battles to teach us about the future. Even though Gettysburg was fought using weapons that seem primitive to young soldiers the lessons it teaches about leadership and courage and intellect are immutable. We are learning again in Iraq and Afghanistan that war is not a test of technology it is a test of the collective will and talents of soldiers and the nature and character of that test will never change. Another reason why this place attracts me is because all of what you see around you is so close to home. This was America's war from both sides, fought on ground that is so familiar and recognizable. It was the first war fought in which most soldiers were literate and, thanks to the recent invention of photography, so recognizable. When you go to the visitors center look into the eyes of the young soldiers staring at you from across the century and you'll see a reflection of yourselves. But I'm drawn here mainly to relive and revive in my own soul the unique influences that brought young soldiers here to fight and die a century and a half ago. Again and again, it's the same old question from politicians and media who have the rare privilege of watching soldiers in action in Iraq and Afghanistan: why is their morale so high? Don't they know the American people are fed up with this war? Don't they know it's going badly? Often they come to me incredulous about what they perceive as a misspent sense of patriotism and loyalty. I tell them time and again what every one of you sitting here today, those of you who have seen the face of death in war, understand: it's not really about loyalty. It's not about a belief in some abstract notion concerning war aims or national strategy. It's not even about winning or losing. On that fateful evening on the last day of June 1863 soldiers weren't sitting around campfires in Cashtown or Emmittsburg roasting coffee and frying bacon to discuss the latest pronouncements from Lincoln or Jefferson Davis. They might have trusted their leaders or maybe they didn't. They might have been well informed and passionate about their cause or maybe not. They might have joined the colors to end slavery or restore the Union or maybe they just were shanghaied on the docks in Brooklyn or Manhattan. Before battle young soldiers then and now think about their buddies. They talk about families, wives and girlfriends and relate to each other through very personal confessions. 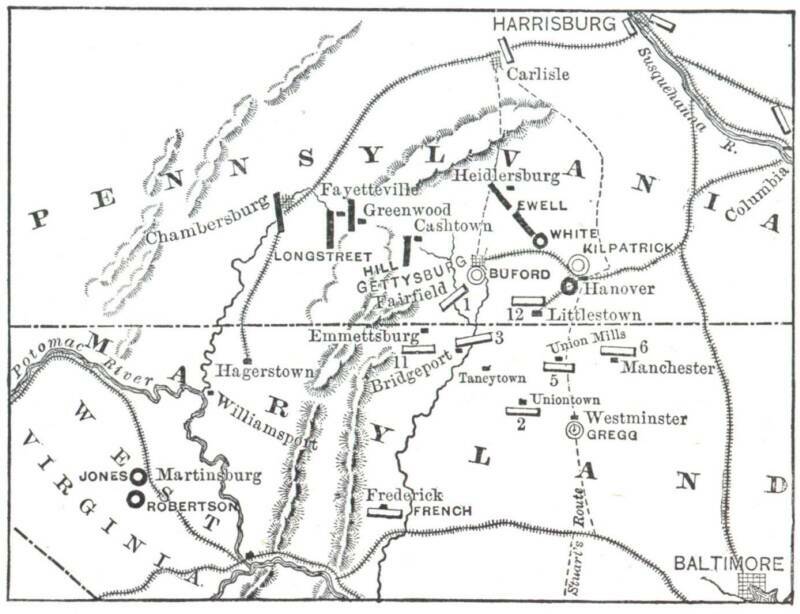 The armies that met at Gettysburg were not from the social elite. They didn't have Harvard degrees or the pedigree of political bluebloods. They were in large measure immigrant Irish or German kids from northern farms and factories or poor scratch farmers from the piedmont of Virginia, Georgia, Texas and North Carolina. Just as in Iraq today soldiers then came from every corner of our country to meet in harsh an forbidding places in far corners of the world, places that I've seen and visited but can never explain adequately to those who have never been there. Soldiers suffer, fight and occasionally die for each other. It's as simple as that. What brought Longstreet's or Hancock's men to face the canister on Little Round Top or rifled musket fire on Cemetery Ridge was no different than the motive force that compels young soldiers today to kick open a door in Ramadi with the expectation that what lies on the other side is either an innocent huddling with a child in her arms or a fanatic insurgent yearning to buy his ticket to eternity by killing the infidel. No difference. A civil war soldier was often lured from the slums of New York or Philadelphia and coerced into the Army by promise of a 300 dollar bonus and 25 dollars a month. Patriotism and a paycheck may get a soldier into the Army but fear of letting his buddies down gets a soldier to do something that might just as well get him killed. What makes a person successful in America today is a far cry from what would have made him a success in the minds of those who we honor here today. Big bucks gained in law or real estate, or big deals closed in the stock market make some of our countrymen rich. But as they grow older they realize that they have no buddies. There is no one who they are willing to die for or who is willing to die for them. You all here assembled inherit the spirit of St Crispin's day. You know and understand the strength of comfort that those whom you protect, those in America now abed, will never know. You will live a life of self awareness and personal satisfaction that those who watched you from afar in this country who "hold their manhood cheap" can only envy. I don't care that virtually all of America is at the Mall rather than at this memorial today. It doesn't bother me that war is an image that America would rather ignore. It's enough for me to have the privilege to be among you. It's sufficient to talk to each of you about things we have seen and kinships we have shared in the tough and heartless crucible of war. Some day we will all join those who are resting here. Over a campfire of boiling coffee and frying bacon you will join with your Civil War band of brothers to recount the experience of serving something greater than yourselves. I believe in my very soul that the almightily reserves a corner of heaven, probably around an inextinguishable campfire where some day we can meet and embrace... all of the band of brothers throughout the ages to tell our stories while envious standers-by watch and wonder how horrific and incendiary the crucible of violence must have been to bring such a disparate assemblage so close to the hand of God.